There are 3 main sections of the interface. The Browser section, where you "browse" through the database files and elements. The Results section shows a list of all of the over everything you have found with the Browser. You can sort the Results by column, and reorder the columns, and even export everything in the results as a CSV. Finally, we have the Details section. When you select a result, information about the selection is shown in the details section. 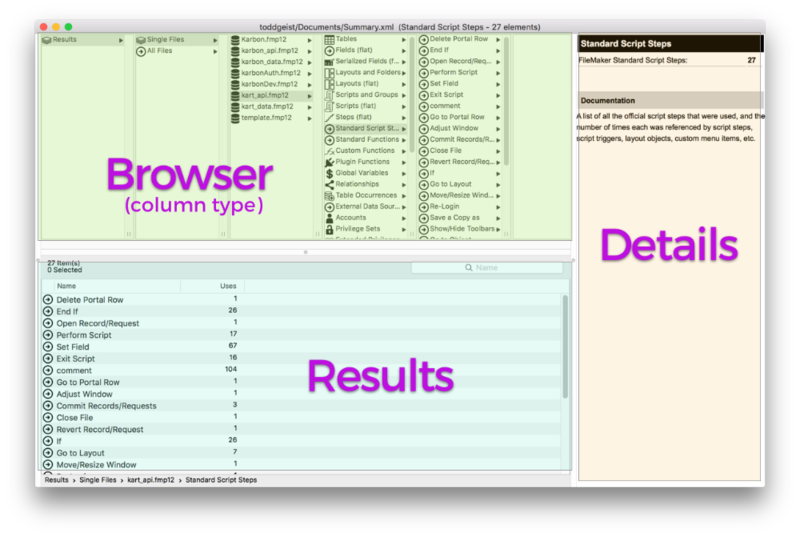 There are two "types" of browsers, the column type, and the outline type. The both accomplish the same task. Here is what it looks like using the column browser. You can also use another type of Browser called the outline type. This is what it looks like. 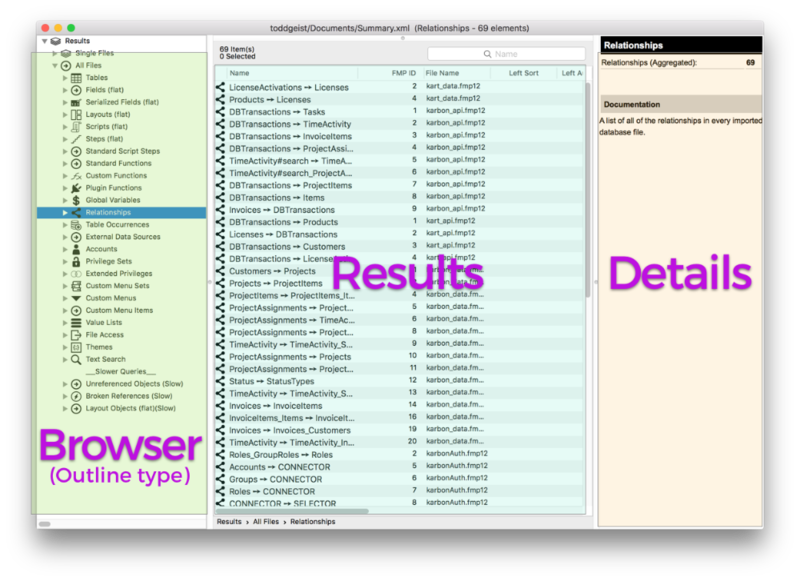 There is a lot of detail in your FileMaker solution, and FMPerception can help you find it. Here is a video that will give you a quick look at how to navigate around FMPerception, and get access to all that awesome data. CAUTION a little out of date. A new version coming soon. FMPerception's user interface is based on modern design principles. Columns are sortable, resizable, and re-orderable. The relative sizes of the different sections are change-able using splitters. This video shows how to make use of the flexible user interface.